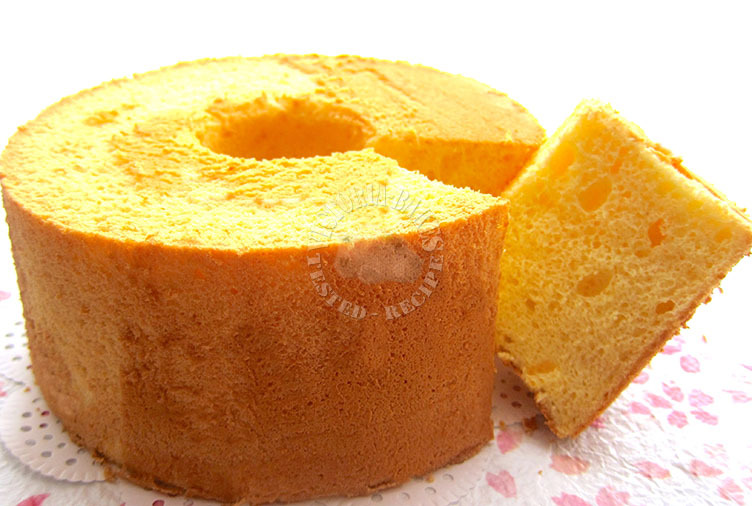 Your chiffon cake looks perfectly-baked ! Lovely flavor and texture 😀 Love it ! I am slowly learning how to enjoy coconut. Will bookmarked this once I cultivate this taste bud. Thanks for sharing. I have the same recipe book but I find that the cakes I make from this book always collapse after I take them out from the oven. I\’m guessing this is because the cooking time is insufficient…did you have the same experience? Hi, actually the recipe in this book works very well for me including baking time. 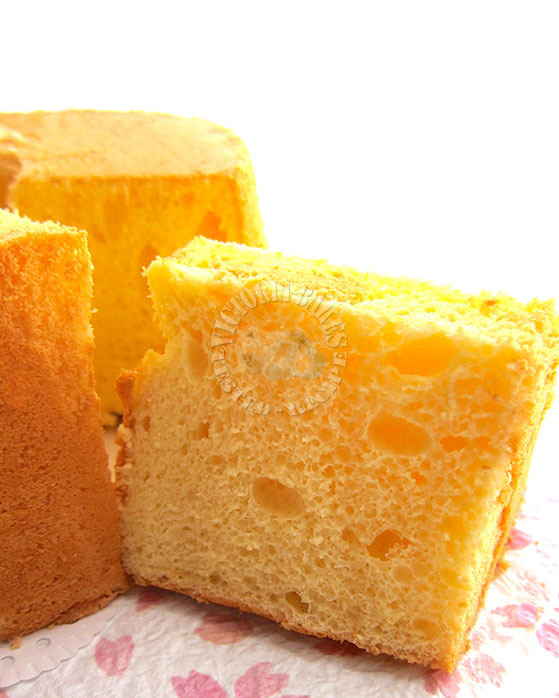 The thing i realised though is that it yields moist chiffon. Not sure how bad your collapse is, but no, it hasnt happened to me. 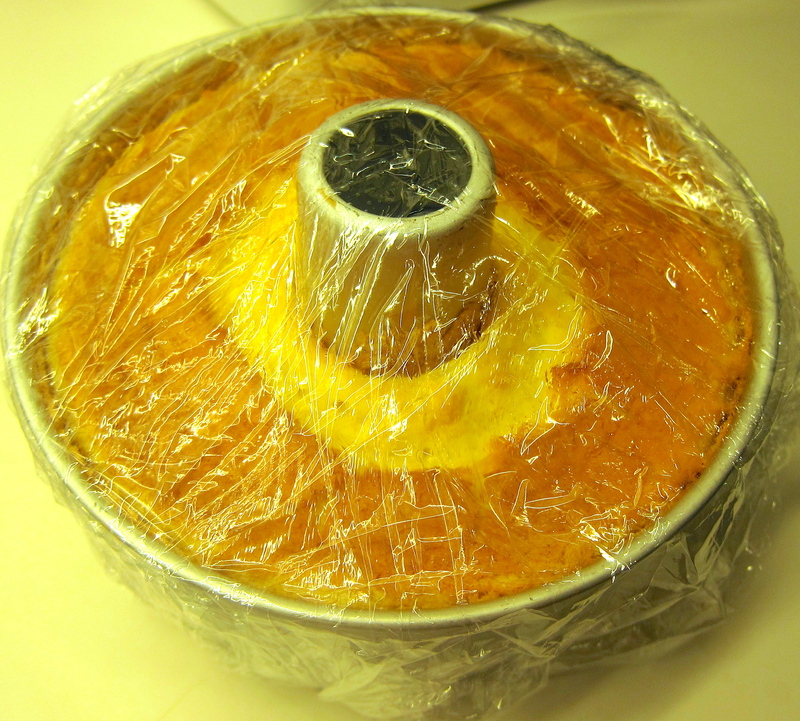 1) I noticed there isn\’t any baking powder or soda in the recipe. Will the cake rise probably ? 2) I don\’t get the thick consistency if I whisk egg and oil 1st instead of egg and sugar. Any difference ? 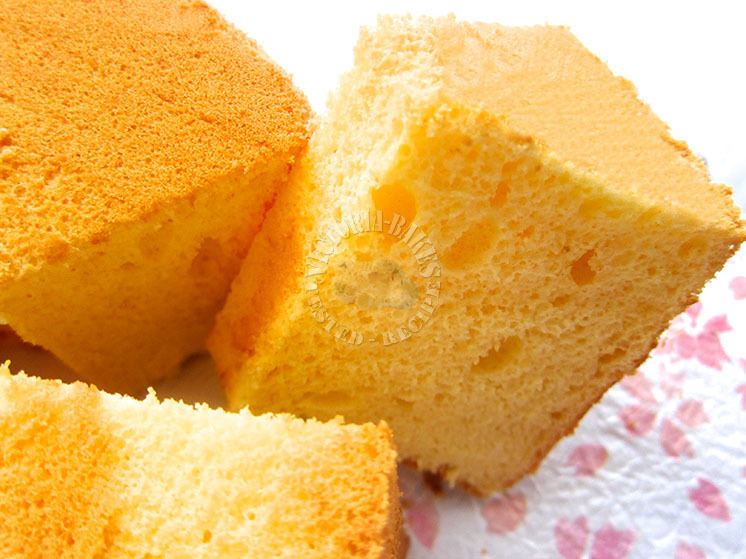 Hi Kuan, chiffon is one of.the more difficult cakes. A real chiffon as i learned, does not use raising agents and the key is the whipping if egg white and a stable meringue. Folding whites into the egg yolk without deflating the white also determines the consistency of your batter. Of course, a properly done chiffon rises. Please do not confuse beating of egg yolk with oil and egg white with sugar. Its two different matter. If you beat egg white with oil it will never rise. In chiffon, you only beat egg white with sugar, nothing else. Hope this helps. 2016 Copyright © Victoria Bakes. All right reserved. Web Design by Hello Pomelo Creatives.